The NJ March for Science is proud to stand together with its sponsors as it celebrates and defends the scientific and education communities. For more information about sponsorship of the NJ March for Science, please email us at marchforscienceNJ@gmail.com. Click on each of our sponsor's name to find out more. Action Together New Jersey is a growing grassroots group from all over the Garden State, sharing a passion for equal rights, for progressive ideals, and for building a brighter future for all Americans. ATNJ is your neighbors, your friends, and your coworkers. And while they don’t always see eye to eye on every issue (just look at the pork roll/Taylor ham divide), they combine our talents, our smarts, and our scrappy, underdog mentality to make Jersey Strong— and our nation stronger. Their Areas of Action: include the following topics: Racial Justice, Reproductive Rights, Environmental Concerns, Women’s Rights, LGBTQ Rights, Gun Violence, Appointments to the SCOTUS, Immigration, Education, the Democratic Party, Community Support and Outreach (SOS Matters), Healthcare and Social Services, Criminal Justice Reform, Electoral Reform, Finance and Economic Reform, Foreign Policy and Uncertain Wars, Workers' Rights, Civil Rights Protection and Expansion, and Military and Veteran Issues. 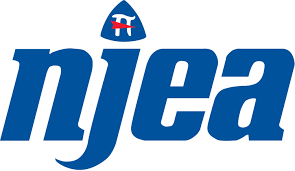 Promote statewide organization and unionization of teachers and all other personnel engaged in education in order to carry out the program and policies of the AFTNJ and the AFT. Obtain for teachers and all other educational workers all the rights to which they are entitled as citizens and workers in a democracy and to protect these rights at all times. Raise the standards of the teaching profession by securing conditions essential to the best professional service. Secure for teachers and other educational workers a determining voice in the establishment and implementation of professional standards. Promote the welfare of children by providing progressively better education opportunities for all, regardless of race, color, creed, gender and social, political, economic status, handicap or disability. Fight all forms of bias in education due to race, gender, creed, and social, political, or economic status, or national origin. Support and cooperate with organized labor and to promote within the autonomous locals of the AFTNJ policies and procedures consistent with the aims of organized labor. Organize all teaching and educational personnel into the AFTNJ, both in private schools, public schools, charter schools, and in institutions of higher learning in the State of New Jersey. For more information about AFL-NJ, please visit them at http://aftnj.org/. The American Society of Heating, Refrigerating, and Air Conditioning Engineers (ASHRAE) is the one and only professional and technical society devoted exclusively to promoting the arts and sciences of heating, refrigerating, air conditioning, ventilating and allied technologies. Since 1894, ASHRAE has grown to more than 50,000 members and includes people from the United States, Canada and 110 overseas countries who share a common interest in the many aspects on human comfort and environmental control. All members belong to the international organization, which is headquartered in Atlanta, and most members belong to one of the Society's local chapters, situated throughout the U.S. and Canada. Currently, the New Jersey Chapter consists of approximately 1,000 members. Visit the Society's homepage (www.ashrae.org) to learn more. The mission of ARISE (Advanced Research Innovation in Science Education) is to provide advanced and comprehensive research experience to a broad range of high school students. Exposure to hands-on research is key to attracting young minds to STEM fields. The unique experience ARISE provides develops science exploration skills, enhances the depth of scientific knowledge, and integrates students into the science community. National data and our own track record show that long-term, authentic learning experiences can play a crucial role in the development of our future science workforce. The ARISE program will open opportunities for exploration to a broader range and a greater number of students to work on long-term, research projects. ARISE includes scientists and educators with extensive research mentorship experience. Their scientific and technical expertise enables them to deliver exceptionally effective program opportunities generally unavailable to high school students. For more information, please visit ARISE, Inc. at http://arisenj.org/. The Association for Women in Science (AWIS) is the largest multi-disciplinary organization for women in science, technology, engineering and mathematics (STEM). Established in 1995, AWIS NJ empowers and promotes women scientists through programs that facilitate career development, education, networking, leadership and entrepreneurial opportunities. Throughout the year they offer events that explore scientific content and career development, often in collaboration with regional organizations, companies and universities whose missions align with this vision. Their partners support their vision and their mission to promote policies that increase women representation in STEM and leadership positions by fostering a positive public image of women in STEM. For more information, please visit AWIS-NJ at http://www.awisnj.org/. Awesome Marchers is a grassroots advocacy group that strives to educate, empower and unite our communities by providing information on the local, state and federal levels. They are a network of like-minded advocates committed to supporting and promoting causes that impact our communities. Awesome Marchers is a sisterhood of like-minded advocates formed after the Women’s March on Washington, D.C. on January 21, 2017. The group is comprised of approximately 200 members led by Assemblywoman Angela V. McKnight of District 31. Assemblywoman McKnight organized 4 buses, comprised of 200+ marchers, who departed from Jersey City at 5:00 a.m. The group’s objectives are to focus on one event a month and organize within our communities to effectuate change on local levels. Since the Women's March, they decided to have a monthly meeting to socialize and come together for the greater good. So, for the month of March, in honor of Women’s History Month, they hosted a fundraiser for Planned Parenthood at the Brightside Tavern in Jersey City. They had local leaders in attendance who spoke about the importance of supporting Planned Parenthood including: Senator Booker’s State Director, George Helmy on behalf of Senator Booker, Commissioner of Union City Maryury A. Martinetti, Mayor Steve Fulop, Jim Johnson, activists and other zealous advocates and believers of Women’s Rights. For April’s National Autism Awareness Month, Awesome Marchers is hosting a fundraiser to promote Autism awareness, Autism acceptance and to draw attention to the tens of thousands facing an Autism diagnosis each year. Funds will go to a local organization for special needs children. For the month of May, Awesome Marchers has partnered up with Make the Road NJ, We Are One, and American Civil Liberties of New Jersey to host a “Know Your Rights” workshop on Saturday, May 20, 2017. Further details to be furnished as they are firmed. For more information, please contact Awesome Marchers at Awesomemarchers@gmail.com or write to them at 696 Ocean Avenue Jersey City, New Jersey 07305. The Coalition for Peace Action (CFPA) is a grassroots citizens' organization bringing together people of all ages, backgrounds, professions, and political persuasions in support of three goals: global abolition of nuclear weapons, a peace economy, and a halt to weapons trafficking at home and abroad. CFPA is a regional organization which also does intersectional organizing on a number of campaigns relating to our permanent goals, such as No Wars, No Warming, Ceasefire NJ gun violence prevention campaign, Voting Integrity, and the Interfaith Network on Drone Warfare. For more information please visit their website at http://www.peacecoalition.org. 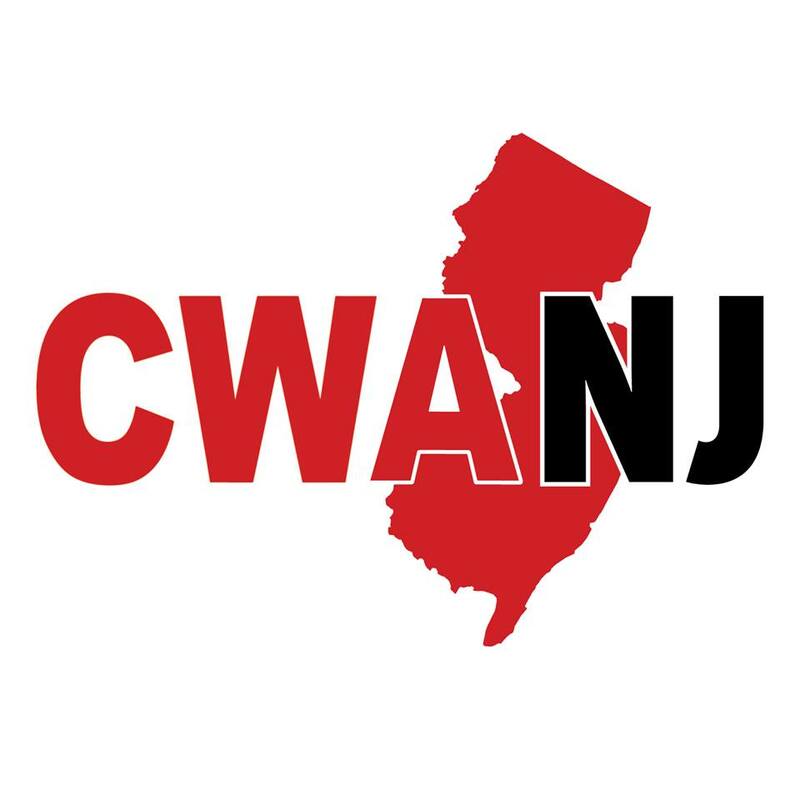 CWA New Jersey includes over 30 chartered local unions and is led by our President Chris Shelton and Area Director Hetty Rosenstein. They use “the triple threat,” the CWA Triangle, as their model for building power & representing the interests of all their working & retired members & their families. CWA is affiliated at the national, state and local level with the American Federation of Labor–Congress of Industrial Organizations (AFL-CIO). Learn more at http://www.cwanj.org. 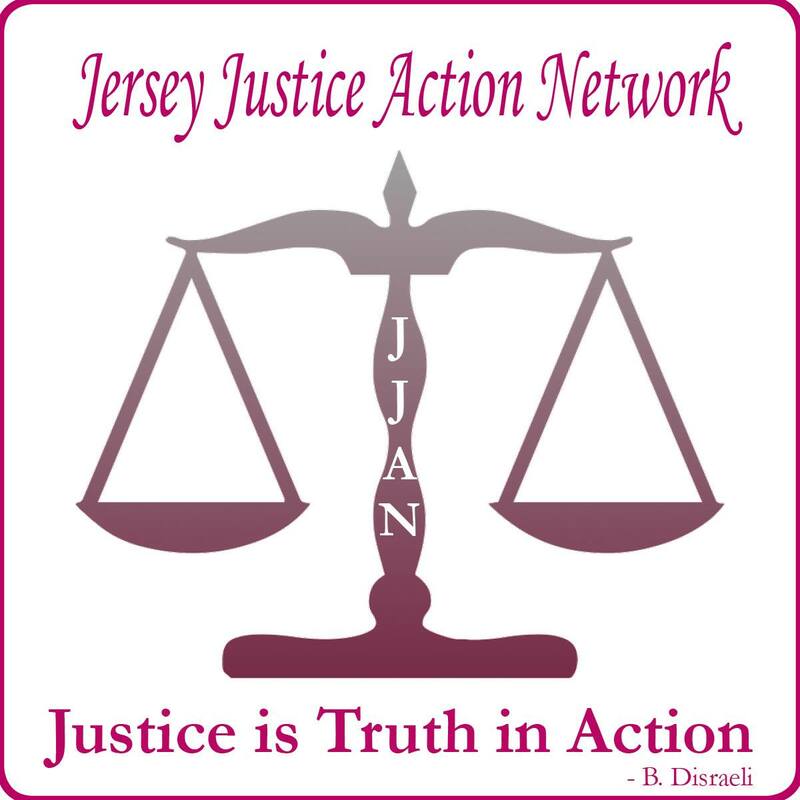 Please visit Jersey Justice Action Network at jerseyjusticeaction.org and https://www.facebook.com/jjactionnetwork/. Hope Rises Up is one of thousands of groups nationwide born out of the energy of the Women’s March on Washington. They are seeking to make social and political advocacy accessible to local community members who want to strengthen progressive and inclusive values and policies locally and nationally. They are based in the Hopewell Valley and welcome residents from surrounding communities to join them. 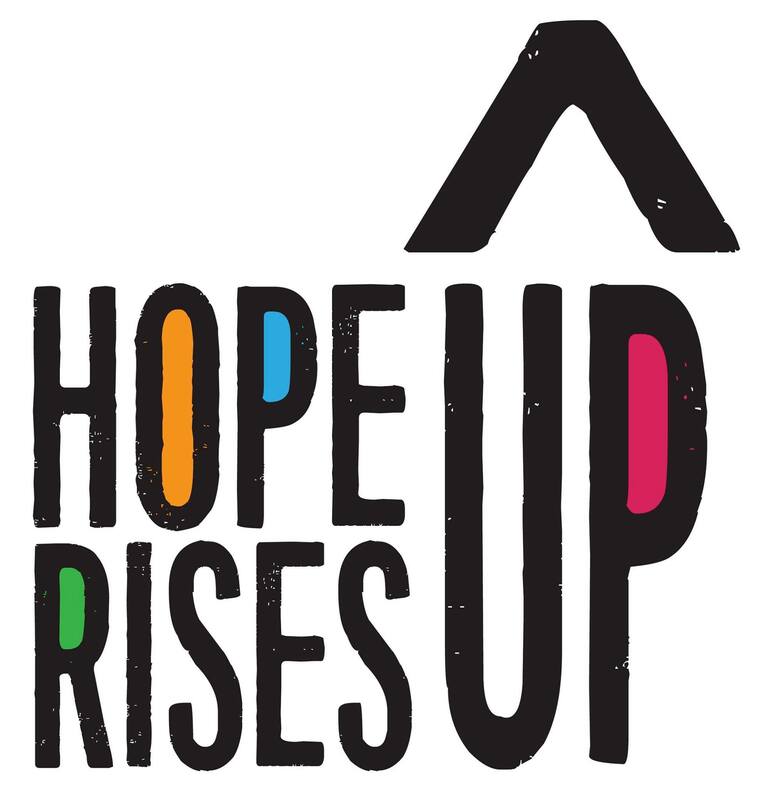 Learn more about Hope Rises Up and what they are up to at www.hoperisesup.org and https://www.facebook.com/hoperisesup. 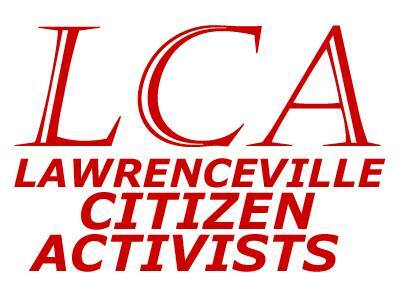 Lawrenceville Citizen Activists of Lawrenceville, NJ was formed as a “huddle” after the Women’s March of January 21, 2017. They currently have around thirty members and meet – usually – every two weeks. Their goals are to resist the policies of the current administration, the GOP-led congress and the senate; to work to elect more like-minded representatives in 2018 and 2020; and to increase voter registration and participation. Recent activist actions include: contacting New Jersey representatives in support of the ACA; participating in ACLU resistance training; and demanding via email, phone and postcard the investigation of the administration’s ties to Russia. Upcoming events include: the Tax March on April 15, the March for Science on April 22, the People’s Climate March on April 29 and organizing a large-scale meeting with other area resistance groups on May 22 to further activist training and coordination between groups. NNJ NOW is the second largest NOW chapter in the state. It was established in 1970 and serves Bergen and Hudson Counties. The National Organization for Women is the largest organization of feminist activists in the United States. NOW has more than 500,000 contributing members nationwide and more than 500 local and campus affiliates in all 50 states and the District of Columbia. Since their founding in 1966, NOW's goal has been "to take action" to bring about equality for all women. Both the actions NOW takes and its position on the issues are principled, uncompromising and often ahead of their time. NOW is a leader, not a follower, of public opinion. NOW activists use both traditional and non-traditional means to push for social change. NOW activists do extensive electoral and lobbying work and bring lawsuits. They also organize mass marches, rallies, pickets, non-violent civil disobedience and immediate, responsive "zap" actions. The New Jersey State Organization of the National Organization for Women is a state-wide women's rights activist organization consisting of 10,000 women and men members, activists, and allies. Incorporated in 1975, NOW-NJ celebrated it's 40th birthday in September of 2015. NOW-NJ has 13 chapters throughout the state, each autonomous and self-governed, on campuses and in the local community. NOW-NJ is a completely volunteer organization. The purpose of NOW-NJ is "to take action to bring women into full participation in the mainstream of American society now, exercising all privileges and responsibilities thereof in truly equal partnership with men. This purpose includes, but is not limited to, equal rights and responsibilities in all aspects of citizenship, public service, employment, education, and family life, and it includes freedom from discrimination because of race, ethnic origin, age, marital status, sexual orientation, gender identity, or parenthood." NOW-NJ shall also have as its purpose to coordinate efforts on the state level, to provide communication among chapters and task forces, and to assist in the functioning of NOW in NJ. With 10,000 members and allies, NOW-NJ is the largest democracy-based feminist organization in New Jersey. For more information about NOW-NJ, please visit them at http://www.nownj.net/. 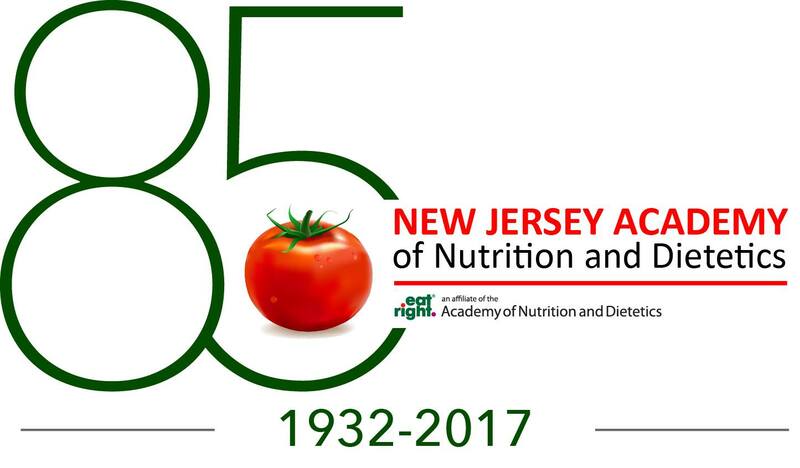 The NJ Academy of Nutrition and Dietetics (NJAND) is a professional organization and affiliate of the Academy of Nutrition and Dietetics. They have approximately 2,300 members and represent the interests of approximately 4,000 Registered Dietitian Nutritionists, Nutrition and Dietetic Technicians Registered statewide. In 2017, their association is celebrating 85 years of service to our members and New Jersey residents. NJAND's mission is to empower members to be New Jersey's food and nutrition leaders. Their profession is grounded in the science of food and nutrition and focuses on evidenced-based practice. Their members provide services that promote the health and well-being of New Jersey’s residents in schools, community and public health organizations, supermarkets, hospitals, long term care and rehabilitation centers, outpatient health care facilities, business and industry, pharmaceutical companies, wellness and fitness facilities and private practice. Learn more about NJAND's membership and their association at www.eatrightnj.org. Earned Sick Time for all New Jerseyans: We lead the grassroots coalition that has successfully advanced paid sick days laws in eleven New Jersey municipalities over the last two years. Nearly 200,000 New Jersey workers are now covered by local laws, and the national media is calling it “the biggest wave of paid sick days victories ever.” Fairer Budgets and Taxes: We coordinate the statewide Better Choices for New Jersey coalition that leads the fight against Governor Christie’s failed trickle-down policies. In 2009 we fought for and won a one-year tax increase on New Jersey’s richest 2%, and in 2014 the legislature passed a budget that suspended wasteful corporate subsidy programs. We’re fighting for a moratorium on all corporate tax breaks until Gov. Christie can prove that the companies are delivering the jobs New Jersey needs. Protecting and Strengthening Voting Rights: In 2015 we launched a new campaign to increase voter participation in New Jersey. Our state ranks 39th in both number of eligible residents registered to vote and registered voters who actually turn out on Election Day. That’s why we successfully advanced the New Jersey Democracy Act, which includes expanded early voting, online voter registration and automatic voter registration. For more information about NJWFA, please visit them at workingfamilies.org/states/new-jersey/. The Rutgers AAUP-AFT union represents more than 7,00 instructors, researchers, librarians, and financial aid counselors at the Newark, New Brunswick, and Camden campus of Rutgers University. They uphold, promote and defend values essential to the protection of quality public higher education. Those values include academic freedom, tenure, shared governance, due process, access to education, research funding and diversity. At the same time, the organization aims to enhance the quality of work life by negotiating terms and conditions of employment for those employees they represent. Visit Rutgers AAUP-AFT at http://www.rutgersaaup.org/. The Social Responsibilities Council of the Unitarian Society of Ridgewood is the social justice arm of the Unitarian Universalist congregation. The Council coordinates the following committees in advocacy and community service: Education Justice, Environmental Justice, Hunger and Homelessness, Living the Welcoming (LGBTQI), Peace and Justice, Racial Justice and Reproductive Justice. For more information about The Social Responsibilities Council of the Unitarian Society of Ridgewood, please visit their website at www.uuridgewood.org and follow them on Face Book at https://www.facebook.com/The-Unitarian-Society-of-Ridgewood. STAND CENTRAL NJ is a progressive grassroots organization in Central New Jersey focused on taking back power through taking local action. STAND CNJ has over 900 members (and growing daily) primarily from six counties – Hunterdon, Mercer, Middlesex, Monmouth, Ocean, Somerset. STAND CNJ’s mission is to support our democracy from the ground up, right here in New Jersey, by fighting for social justice, economic opportunity and human rights for all. They aim to have an impact on elections and issues at the local and state levels through constituent mobilization and empowerment. Please visit STAND CNJ at http://www.standcnj.org and https://www.facebook.com/standcnj/. We are proud to have received an endorsement from the following organizations, and we thank them.